There’s a lot of advice out there about making social media and internet marketing work for businesses in general. But you want to know what works for your specific business. How do you do that? By applying the scientific method. Scientists start with a theory or a hypothesis, then develop an experiment to test it. Next, they observe the experiment and analyze the results. You can use the same process to hone your online marketing strategy. Let’s say your goal is to drive traffic from your Facebook and Twitter pages to your website. You’ve read that posts asking questions and posts offering coupons or discounts both generate a lot of engagement, but you want to find out which one actually brings more customers to your website. Start by creating two posts promoting your product or offering: one that asks a question, and one that offers a discount. Include the link to the web page you want them to visit. You can use eClincher’s Social Media Manager to schedule your posts on a specific time and day of the week. 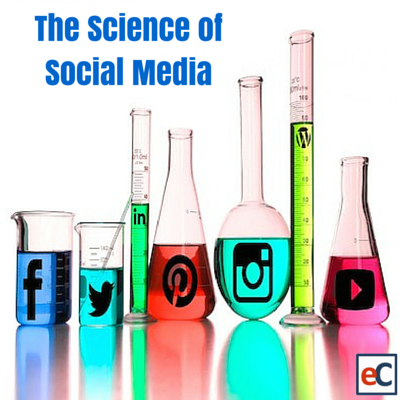 As each post goes up, sign onto eClincher and look at the Google Analytics and Social Media Metrics to measure and track post engagement. How many people liked the post? How many shared it? Most importantly, how many clicked the link and came to your website, and how long did their visit last? By tracking the performance of each post, you can easily connect the dots between your social media posts, engagement level, and website traffic to get actionable insights. Now that you have measured, post by post, the effectiveness of each technique, you know which one best met your business goals, and you can continue using the same technique. What’s more, you can use the same scientific method to further improve your social marketing performance by finding the most effective keywords, or identifying visuals that trigger emotion, engagement, and action.